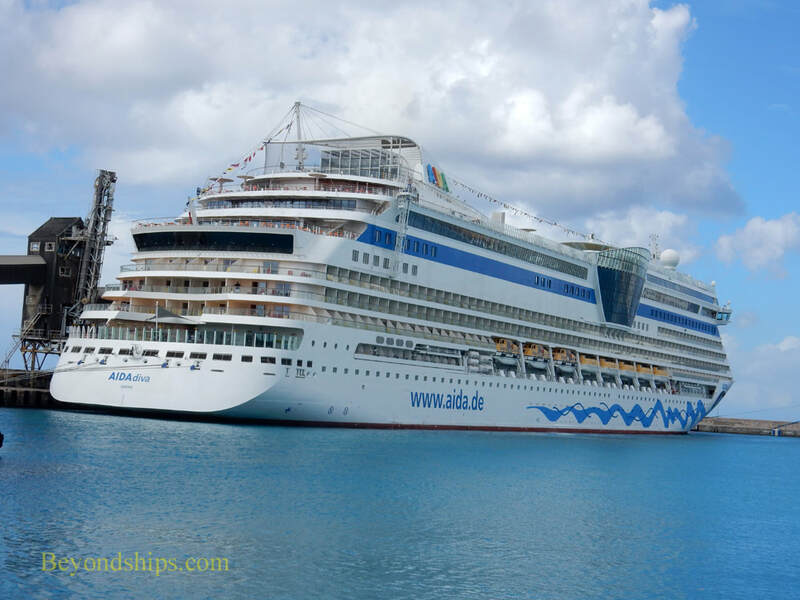 After finishing their 2017 seasons sailing from New York (see separate feature) , AIDAdiva and AIDAluna headed south to the Caribbean. 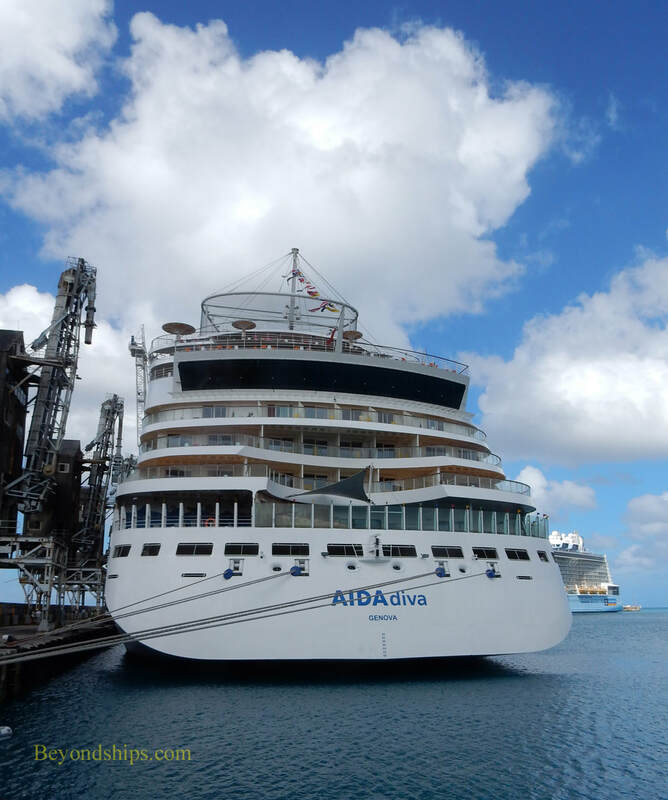 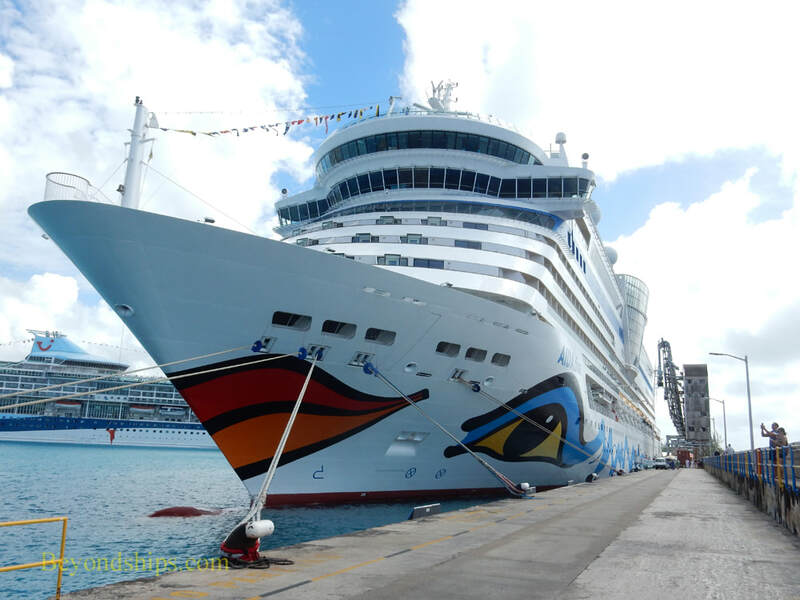 Here, AIDAdiva is docked in the man-made harbor outside of Bridgetown. 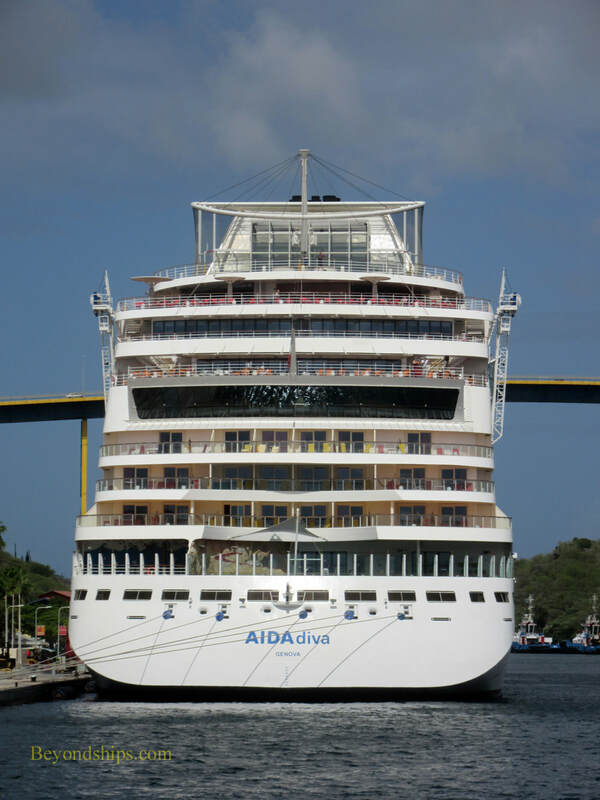 AIDAdiva is docked in the heart of Wilemstad. 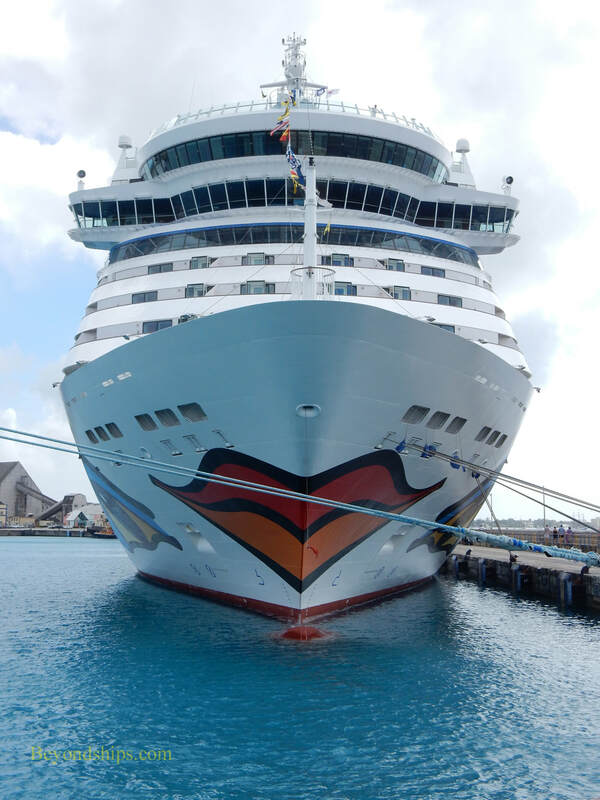 Her berth at the Cruise Terminal Pier is just inside the famous Queen Emma swinging pontoon bridge that links one side of the city to the other. 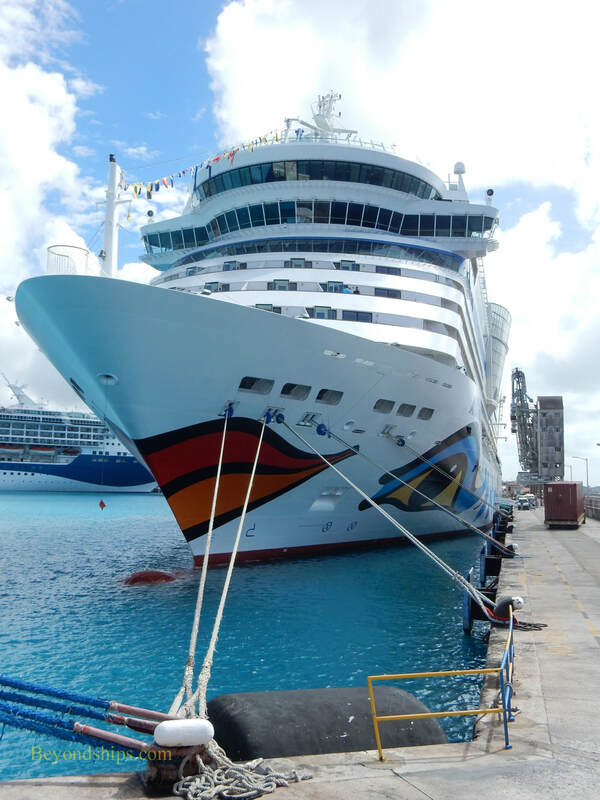 AIDAluna is off La Semana in the Dominican Republic. 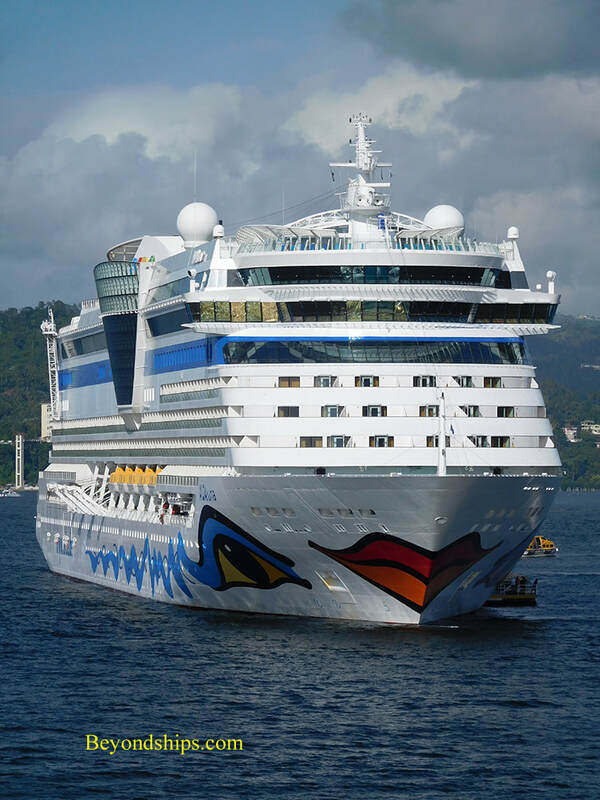 This is a tender port and so her boats are ferrying passengers ashore. 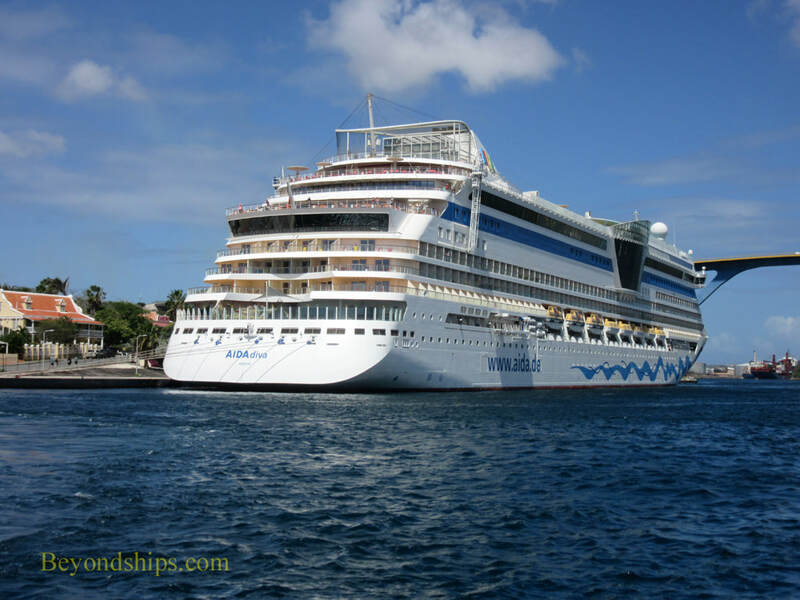 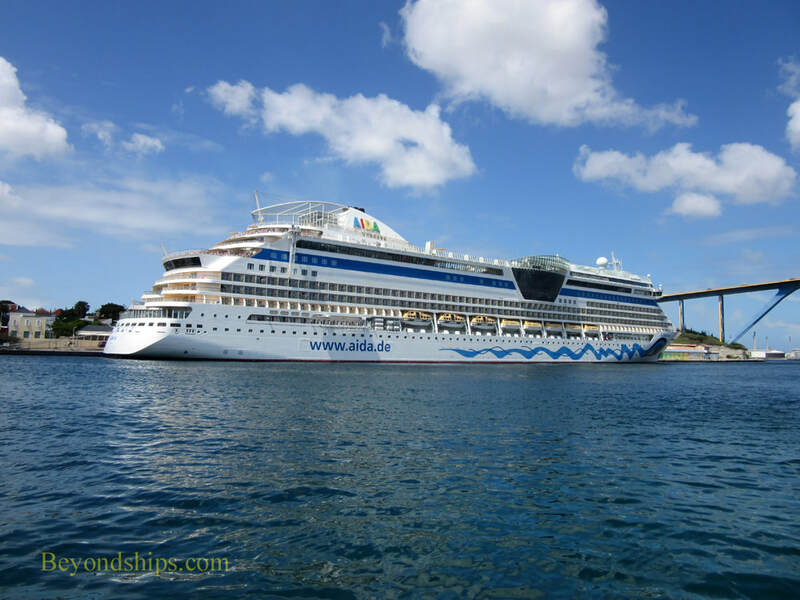 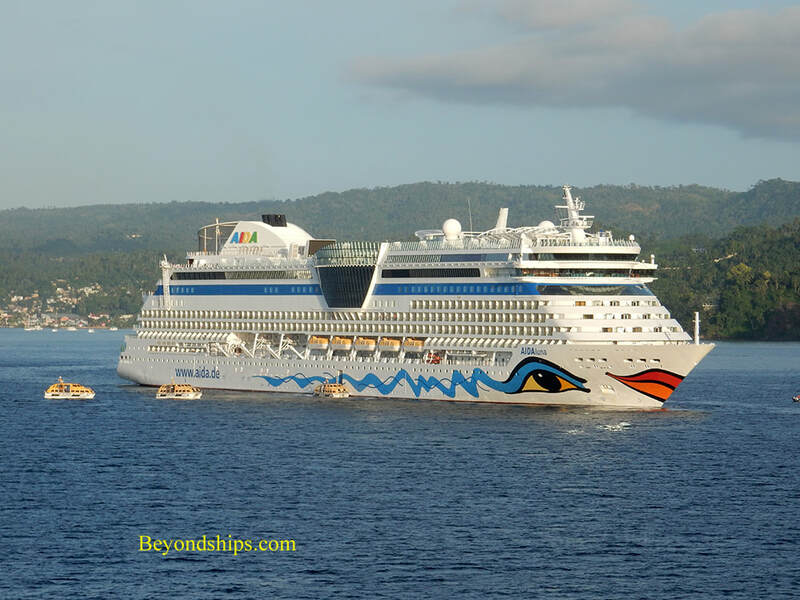 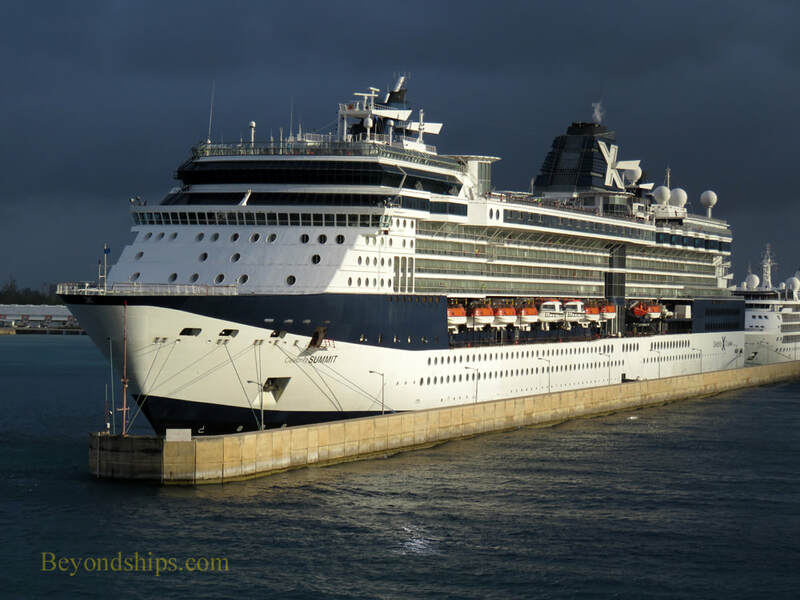 (Click here for earlier pictures of AIDAluna in other Caribbean ports).